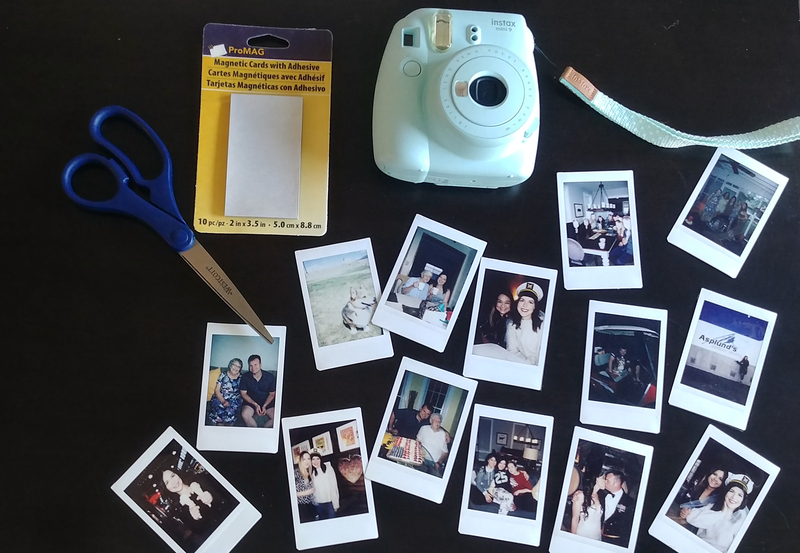 A girlfriend of mine bought a instax mini 9 a good year (or two, or even three) ago, before they were all the rage. She brought it to my bachelorette party last year and we had so much fun with it! I added it to our wedding registry (thanks, Uncle Kevin!) and snapped photos along our road trip. It’s so fun toting around an actual camera, it reminds me of my childhood (remember when you couldn’t see your photos until you had them developed?!). My favorite moment is when you pull it out in front of other people, and their reaction is priceless. If you’ve never used an instax mini 9, I will say the camera (and its settings) take some getting used to. Buy extra film and make sure you read the instruction booklet it comes with. I found that the best photos were taken inside and up close, otherwise they came out too dark or too light in bright sunlight. The best thing you can do is test out your first set of film, the more you use it the easier it is. Pssst… you can snag one on Amazon right now for only $56! 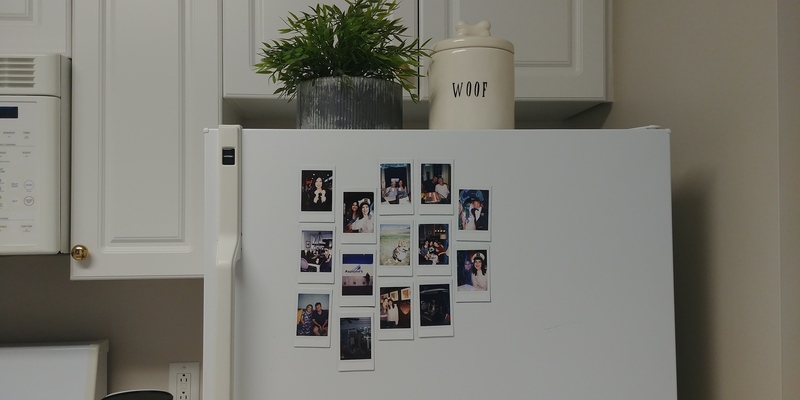 There’s so many fun ways you can display your Polaroids, but I knew I didn’t want them buried in a shoe box or photo album. I decided to turn them into magnets! This will be the easiest DIY-project you ever do, I promise. Cut the magnetic card as you’d like, so it fits the back of the Polaroid. Once you’re happy with it, simply peel it off to reveal the sticky end. 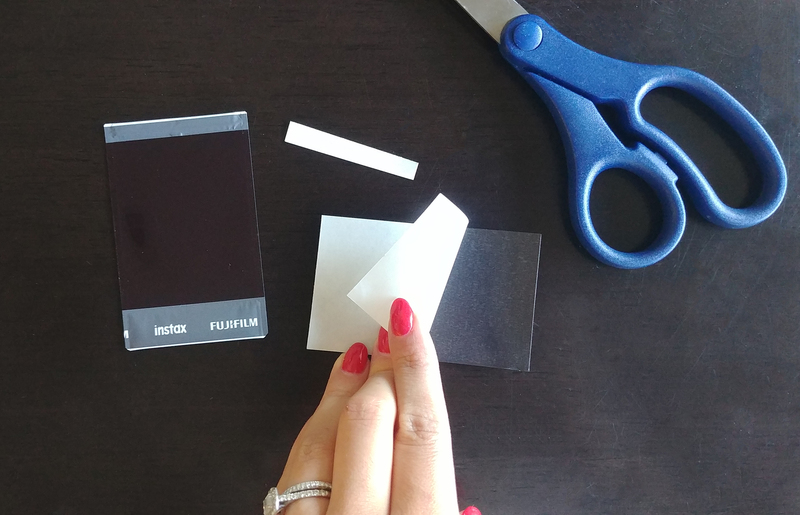 Lay down the sticky side of the card onto the back of the Polaroid. Press down to make sure it’s firm. Go stick it on your fridge! Easy as that.